Question: [SPOILER ALERT] The recent turn of events on The Walking Dead and the departures of its star Andrew Lincoln (Rick Grimes), and Lauren Cohan (Maggie) are bad enough, but the show killing off Jesus (Tom Payne) is the one that infuriates me the most! As a gay man, I was glad that the show added on another gay character, Jesus, from the comics. His debut on the show back in Season 6 was memorable when Rick and Darryl chased him in their RV, but his role became very underused when he just became a background character on the Hilltop. The writers gave him very little to do, when in the comics he was a very useful warrior and ally to Rick and his group. In Sunday’s mid-season finale, Jesus was finally put to use by battling The Whisperers, when all of a sudden he’s killed! It is such a shame that the writers killed off another character that was still alive in the comics, and they never put him to full use. We never even got to know Jesus more as a character! And it’s also a shame that the show never explored a romance between Jesus and Aaron that also happened in the comics, instead just “teasing” a Jesus/Aaron pairing with their training sessions. Payne discussed that shocking end-of-the-episode twist, where he thinks Jesus' story could have gone and whether Jesus will rise again. Matt Roush: To be completely honest, as someone who only knows The Walking Dead from the TV show and thus manages to keep it entirely separate from the comics, I didn’t know the Jesus character was even meant to be gay. (Payne’s exit interview on our site only obliquely references it.) The recent scenes with him secretly sparring with Aaron hinted at some connection, but like everything else with the character, it was underdeveloped. And for me, that’s the bigger issue, not so much that they offed another gay character but that he barely even registered as a character. I do care about representation and diversity of gender, race and sexuality on cutting-edge genre shows like The Walking Dead, and I'm on board with the show sacrificing anyone at any time to dramatize the high stakes of survival. But in this case, it seems a lost opportunity, and in some of the interviews I’ve seen, Payne seems to agree. Although he did enjoy getting a memorable death scene (in a foggy graveyard, no less), so that still beats how they wrote Rick and Maggie out of the show for now. There's a lot going on in the trailer for the second half of the AMC series' ninth season. Matt Roush: If ever there was a show that’s not for all tastes, it’s The Walking Dead, so you’re hardly alone. But it’s AMC’s biggest hit and signature show, so AMC uses those weekend slots for fans to catch up on the show and, more recently, to prepare for the hiatus. (They used to do it with Breaking Bad as well.) But it’s not like there aren’t hundreds of other channels to watch on a Sunday morning, so it’s not that hard to avoid. Question: I'm confused about Maggie leaving The Walking Dead. It seems unplanned and done in an unsatisfying way. What's up with that? Matt Roush: You’re not the only one put off by how Lauren Cohan abruptly departed the series, explained in exposition as something that occurred during the post-Rick time jump. I also thought I’d missed something (since I don’t exactly obsess on the show and its many character arcs), but then realized it was just another example of sloppy storytelling. There’s every reason to expect she’ll return to the show someday, depending on the fate of ABC’s midseason drama Whiskey Cavalier. And that Mad About You episode was mentioned frequently in the comments on our Thanksgiving discussion. It’s obviously a keeper. Matt Roush: This question came in before the news broke earlier this week that George Eads will be leaving the MacGyver reboot later this season. His recent low profile apparently has to do with his desire to spend more time with his family in Los Angeles—not unlike Scott Caan’s on-and-off schedule on Hawaii Five-0, which I still get questions about—but there are also reports of an “altercation” on the Atlanta set, so it seems the producers had no problem letting Eads out of his contract early. Where Are the Golden Girls on Cool Kids? Matt Roush: Yes, we’ll let these be the last words for now, as the show is now on its annual winter break. The scheduling could well be a factor in the final vote, given the popularity of the freestyles, but even before the finale, I was getting mail complaining about how the eventual winner (and a few others) had stayed in long past what should have been their expiration date. So it does seem to have been a systemic problem with the season as a whole. How Will the Dancing Debacle Affect Idol? 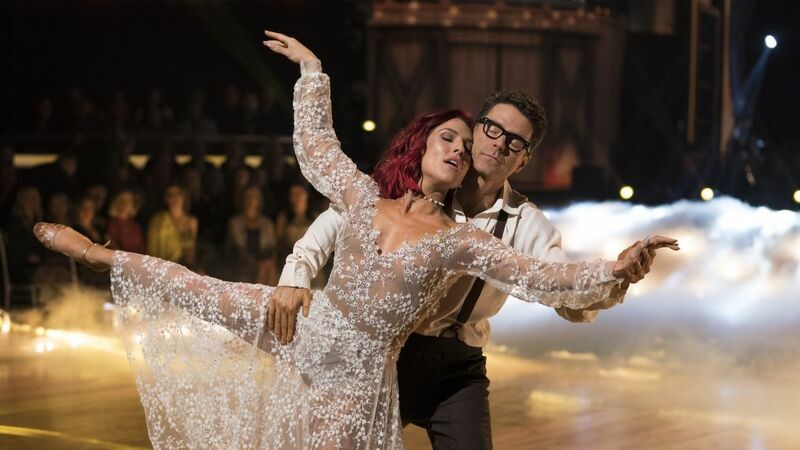 Question: The conclusion of the latest Dancing with the Stars—and entire season, really, as its gradual devolution sort of made the ultimate win by Bobby Bones seem "fitting"—surely will leave a lingering bad taste in the mouths of most longtime viewers, whether they choose to return to the show or not. But what impact might it have on the near future of both that show and American Idol? With Idol returning in January, might Bones' addition as a mentor impact ratings for both good and bad? The people who voted for him might give Idol viewership a bump, but his presence will only bring back bad memories for DWTS viewers one would suspect ABC would like to keep. Personally, I know I can't escape the belief that Bones, even with his music connections, might "best" serve as a mentor by telling the singers that being talented on such a show isn't nearly as important as acting (overly) excited to be there and finding ways to amass votes from viewers. Matt Roush: Seems to me that Bobby Bones’ victory was a triumph of personality, and if he brings that to American Idol, it might be a good thing, regardless of bruised feelings from Dancing fans. And ABC hasn't released midseason details yet about Dancing following The Bachelor in the spring. I can’t imagine they look back at last season’s truncated Athletes round as a success. Question: I love reading your Ask Matt column. Just a couple of comments: It has always been obvious to my sister and me that DWTS winners have won due to popularity. When Bobby Bones won, my sister’s comment was that she should have voted. We were happy for Sharna getting the win. I vote when I have a favorite that I am worried might get surpassed, but other than that I love seeing how the celebrities improve over the course of the season. Matt Roush: Those really are the last words on Dancing With the Stars for now. Diane is right in explaining why the show has had enduring appeal, even in seasons when the casting was lacking. And some people like to vote for the pros as well as the stars (and I’m a Sharna fan, too, so I get that). And regarding Drummer Girl: I agree on its quality, but pointed out when addressing the complaint about the disruptive ads that not everyone is able to record and time shift, so it’s still an issue when networks schedule the breaks so poorly. Matt Roush: We’d all like to know, but as of now, it hasn’t been decided. Hard to imagine AMC wouldn’t go ahead with a fourth season, given they’ve already taken us this far on one of TV’s wilder rides. The actor joins previously announced Season 4 addition Inbar Lavi. Matt Roush: She’s what’s known as a recurring regular, not used in every episode, but often central to the action when the story calls for it. I like her character of Kat Sandoval, and even have grown accustomed to her bold sartorial and tonsorial choices, but think it’s probably wise for the show to use her sparingly.